The car was not a luxury car but a 34 year old Peugeot 504’en has definitely seen its best days, but nevertheless achieved anything other than list price. Ahmadinejad, who in the West is known for his uncompromising language and his hateful outcomes, primarily against Israel, put the car up for sale 1 January. A site invited potential buyers to place bids, and the Iranian President vowed to use money for housing for the disabled and female parents alone. According to the state welfare organization that organized the auction bids poured in from many parts of the world, but who eventually got the bid of 25 billion rial is not known. “My client bought the car from his personal interest in President Ahmadinejad and his energetic fight against the arrogance and Zionism,” said the Iranian lawyer Mahmoud Esari representing the buyer. The car seems to be relatively rusty, not at all a matter of course for French cars produced in the 1970s and the blue seat covers also testify to the careful use and good maintenance. Ahmadinejad does not live any extravagant life and have always liked to portray themselves as poor people’s faithful servant. 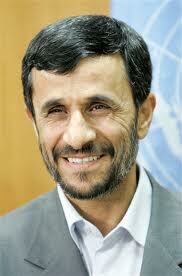 When he was elected as President in 2005, he had to under Iranian law give up his personal fortune. Besides his white 1977 model Peugeot 504, he listed out the 40-year-old house in a middle class area east of Tehran and the balance in two bank accounts. When he was re-elected in 2009, he promised to make housing, creation of new jobs and economic reforms to their banner issues.